Lately, I am on this quest to create my own natural, cheap makeup products. You’re probably thinking it’s because I did some research and found out about all of the horrible stuff in makeup, since that’s usually what gets me to venture into making my own products (or because I’m cheap). But the truth is… I have rarely purchased makeup in my life, and no, I’m not one of those people with fabulous skin that doesn’t need makeup. Sure, I have purchased Bare Minerals a few times, but I have been super fortunate to have a mom who sells make up and, better yet, buys me everything I need! Love her! Honest moment here… I am a 24-year-old married woman and my mommy still buys me makeup! Haha. So, the real reason I’m starting to make makeup is because my makeup didn’t come in on time when I was in Chicago last, and I’m running out! The truth is, I don’t think I am ever going back to the store bought stuff! Sorry, mom (she’s probably happy she doesn’t have to buy it anymore). It is just way too easy and cheap to make, and it’s all natural, which I’m pretty into! 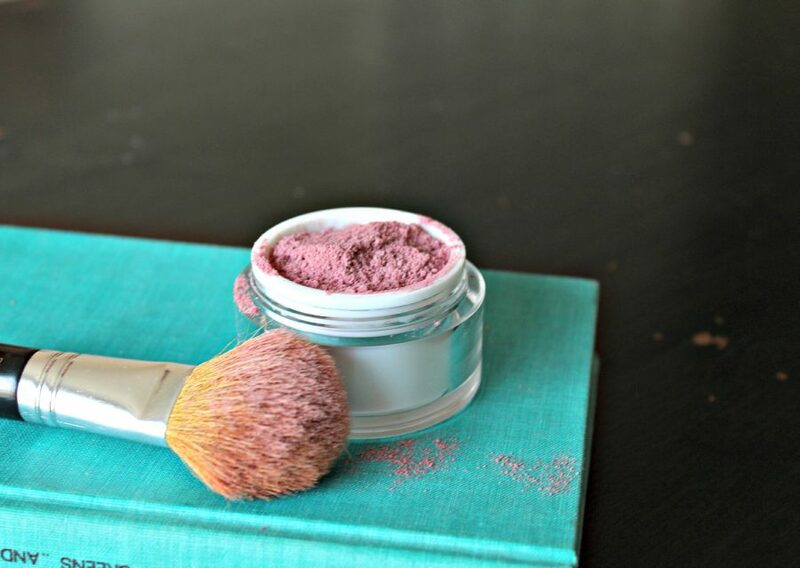 How bright pink you want your blush will determine how much beet root powder you should use. I use about 2 parts beet root powder to 1 part cornstarch. If you want to add more depth or make it darker, add a little cocoa powder! Directions: Start with 1 Tbs arrowroot powder or corn starch and add in 2 Tbs beet root powder. Mix in a small bowl, making sure to break apart any clumps. Adjust color to your liking! Done! To use: Dip your blush brush in the powder, tapping off any extra. Apply to your cheek bones! See, didn’t I tell you it was easy? Making makeup makes me excited! So fun and cheap. Remember that makeup is very different for every person. What works for me may not work for you! You may have to adjust the recipe to your liking! Hope ya’ll love it! Check out last week’s post, where I show you how to make your own homemade powder foundation! Great! but where do you buy beet root powder? You can but beetroot powder anywhere online! I just bought some, and will mix it with oil to make a “cream blush”! How did using oil go for you, Tesss? What kind did you use and how much? Never mind, I just hit the link! Love these makeup recipes! You may have mentioned this in a different post, but where do you get the little pots that you hold me makup in? I wouldn’t even know what these things are called to do a search for them! Thank you! I am actually just reuse old face cream containers, but you could use really small ~2-4 oz mason jars from Walmart or Hobby Lobby! You can also find all sorts of beauty product containers on Amazon. Do a search on Beauty or Health (I think those are the two I chose). Amy, what would you use if you wanted more of a peach toned blush rather than pink? You could probably make your own pressed powder by adding some rubbing alcohol (I think) and pressing it down in the container. I like this idea of making my own makeup. I’m gonna try it once I run out of my store bought stuff. This is great! I’m always looking for natural things for my skin. I barely ever wear blush but every once in a while it’s nice to wear some. This would be great to have, rather than spend the money to buy it. I already have those ingredients. This is such a lovely idea. Who knew that blush takes only two ingredients? Minimalists rejoice! Great post! I lu-u-u-v your blog. Hi this looks so interesting. I saw it on craft o maniac. Thanks for the tute- I have a hard time finding ANY blush that looks good, much less a natural one! Love Mountain Rose- already get my body cream ingredients from them. Found this on COMM. Thanks again! Ahhh sorry just saw this! I will link up next week! Thanks for the invite! Make your own beetroot powder. Peel and slice a “non-pesticided” beet. Cut the slices up into little bits. Dry it in a dehydrator, low temp oven, or on the shelf (if it’s warm enough) between 85-160 degrees. When it’s dry powder it in a blender. Voila! Beetroot powder without the shipping! 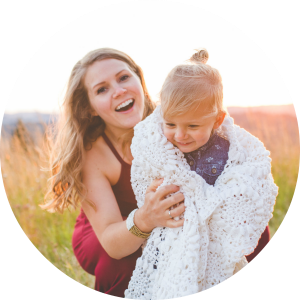 Hopping thru Whimsey Wed blog hop. I am kind of obsessed with make up and trying different things so I absolutely love this idea. Pinned to try! Already a follower. Thanks Jackie! Come back for more homemade makeup recipes. There will be a new one posted every week for at least 5 weeks! Not how long till it is used up for you, but do you know how long it lasts? How long does it stay good? Thank you for the instructions. I love the idea of making my own makeup and knowing what ingredients are in it. I look forward to future posts. Can we try to make it to stay on longer? Make it like a cream? Maybe add some coconut oil and a bit of wax? Question: How can you make it more peach or have a brown hue? or even purple? Sara it lasts all day and is great for greasy and sensitive skin. This looks great… I have tan skin (olive), would it look too pink? Hey Keri-Ann, How do you make these fruit’s powder? I make my own powders by dehydrating them and then running them through a handheld coffee grinder. I also have a more commercial grinder but in any cosmetic purpose that does the job. I make carrot root powder (more orangy peach hue), beet root powder, etc. What a great idea!!! Thanks so much for sharing. I will be trying this ASAP! OOO what a great idea! Let me know if it works! question. can you make this into a pressed powder by slowly adding water til it clumps and then add to a tin? similar to the pressed eye shadow? Can you add beeswax and or shea butter to this to make a cream blush? Hi I was wondering how can I make this blush red? I made my own makeup with beet root, arrowroot, cacao powder and cinnamon, but these ingredients triggered a candida attack in me. I am very, very sensitive to candida, and my health is not goodI am looking to replace the beet root powder with something non sweet, but I have no idea what to use. Also, I am looking for a replacement for the cacao powder, since the cacao irritates my skin, but I dont know what to replace it with. Ideally the ingredient is healthier than cacao, and does not irritate. The make up I made looked good, but I so very much wish to find make up that works for me, without making me ill. All help is very much appreciated. I do not believe that the picture you have posted is the actual blush you made… Did you even make this? I tried this recipe and I think it’s a fail. The beetroot is VERY dark purple and it does not actually color the skin. I’m so disappointed. I wanted this to work. I’m sorry this didn’t work for you :(. I did make this and that is the actual picture. My beet root was more pink. Amy, I enjoyed reading your post. 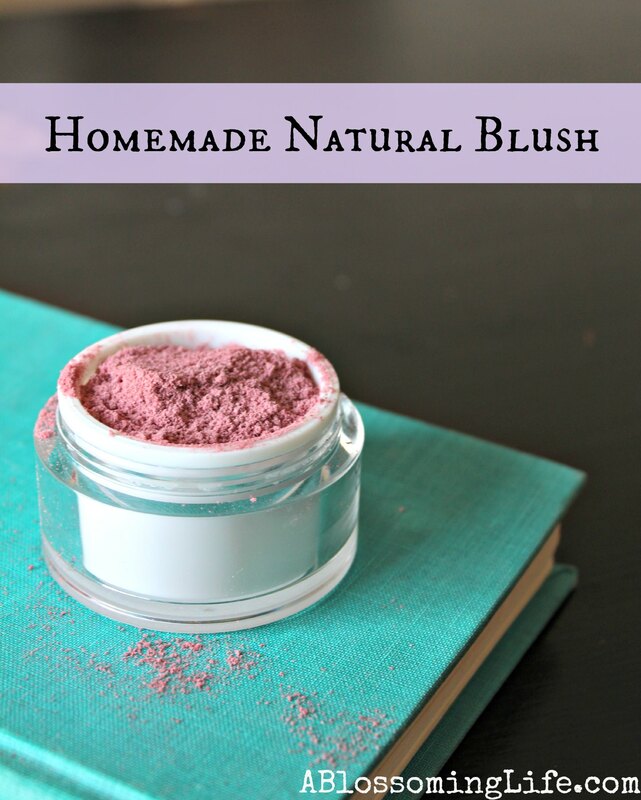 I am switching to homemade makeup as well, such as cornstarch as face powder and thawed raspberries or blueberries as a blush and lip stain, and lately I’ve added beetroot powder. I have one tip for using the beetroot powder, and that is to wet it. I keep an 1 oz jar of it in purse. I place a tiny amount of the powder in my palm and wet it slightly with my finger and apply to lips, cheeks, and even eyelashes and eyebrows (I have to be careful with the eyebrows and wipe it off soon after applying it and go over the brows with a grooming brush). I am 23 yr old and this routine works wonderfully for me. Beets have beneficial vitamins also which would be good for the skin to receive through regular application. The more I use these natural ingredients as makeup, the more I find naturalness beautiful and the less I desire to use formulated natural and organic cosmetics bought at the store. God’s handiwork is always more beautiful than what we make. Hey Amy! I tried this today, but for some reason it didn’t work. You see, it came out purple. XD And I think the beetroot powder I have (out of a VERY small selection here in New Zealand) is not ground enough, because the cornstarch and beetroot separate on my face; the beetroot seems a lot bigger and flakier than the cornstarch. Do you know how I can fix these problems? Thanks! I’m seriously thinking that making your own makeup is the way to go. It’s just so damned expensive, where does it leave you but to go that route. Really love your site Amy and I’ll let you know how I fair with making my own makeup. I’ve tried this and it just falls off my face. You don’t have to use organic cornstarch. I try to avoid GMOs as much as possible so that is why I recommend organic. Sorry to repost this. I couldn’t find my last post and was hoping to see your answer. The blush was wonderful when I first made it and within hours had become very caked. How do you avoid this?